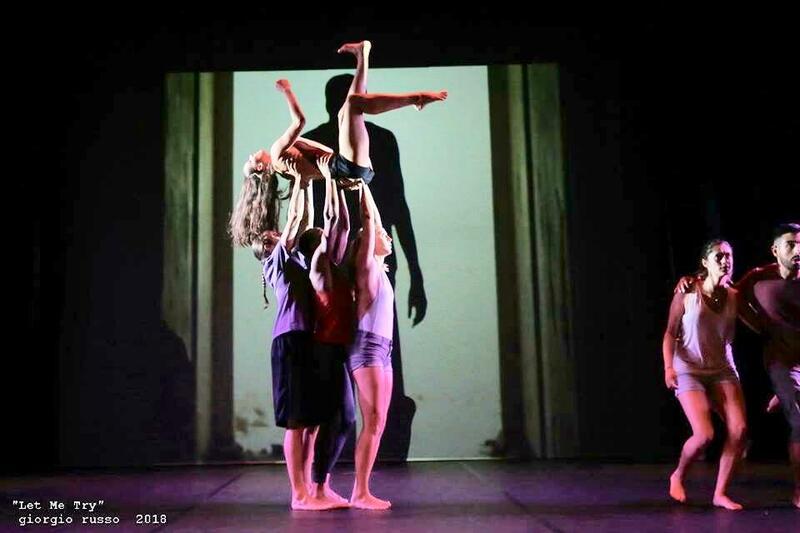 "Let Me Try" is the multicultural and multi-disciplinary project, winner of the Bando ScrabbleLab "Residenze Artistico-creative in Sardegna" financed in the field of the POR FESR 2014-2020, lead by the company L'Effimero Meraviglioso directed by Maria Assunta Calvisi (Sinnai - Sardinia) with an international partnership with Kataklisma Teatro of Elvira Frosini and Daniele Timpano (Rome) and Alessandra Corona Performing Works directed by the dancer and choreographer Alessandra Corona (New York). A synergy derived from a community of intent, to develop new and interesting forms of communication and interaction in-between artists and companies, with the involvement of professionals and experts of different disciplines, in order to offer the participants a wider prospective on different ambits, leading them to gain experience through different techniques, styles and artistic languages. Performers: Dario Alberti, Michael Bishop, Francesco Cappai, Michela Cidu, Camilla Fraticelli, Giulia Giglio, James Johnson, Elisa Liberati, Alessandro Marino, Federico Nonnis, Cassandra Orefice, Leonardo Tomasi, Maria Vittoria Villa.